This month has been a little hectic as well as exciting for us at Prika since it’s our first year birthday month, but its no way we are going to miss anything from our end to keep inspiring our lovely crafter’s…..Today we have an amazing crafter with us sharing her journey of being a craftpreneur……”Craft Enthusiast of the Week…..Kriti Mishra” previously an Professor in Technical Education turned Crafter taking care of her little baby and allow making her learn arts and crafts, also accomplished as Design Team Member with Papericious and many more….Let’s know more about her journey of being an craftprenuer, her passion, and some of her amazing projects she had worked upon. 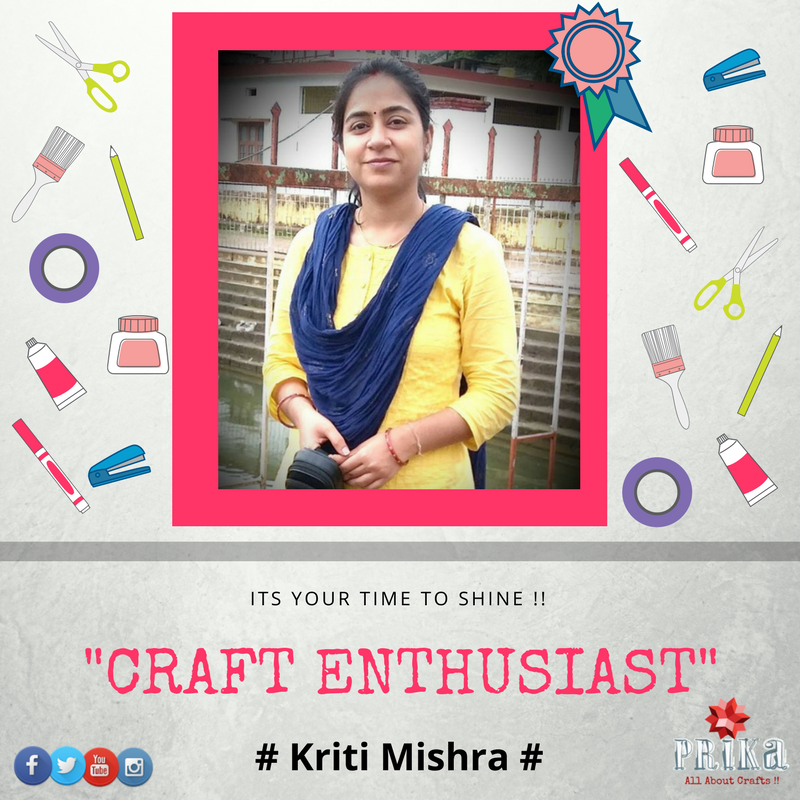 This is what Kriti speaks about her journey as a crafter and her story of being a craftpreneur…. Technology, and was an Astt. Prof. at a reputed engineering college. But left the job after my daughter, Akshada, was born, she is 5 years old and now I am a full time mother. But she allows me to do some creative work. I can see a good artist in her also. Right from my childhood,I am into crafting, , I always loved making handmade cards and it is my passion. I am more into Scrapbooking and making mini albums(but now exploring Mixed — media and Flower making) and love to use different kinds of products to enhance my creativity and to share some knowledge with other people around. 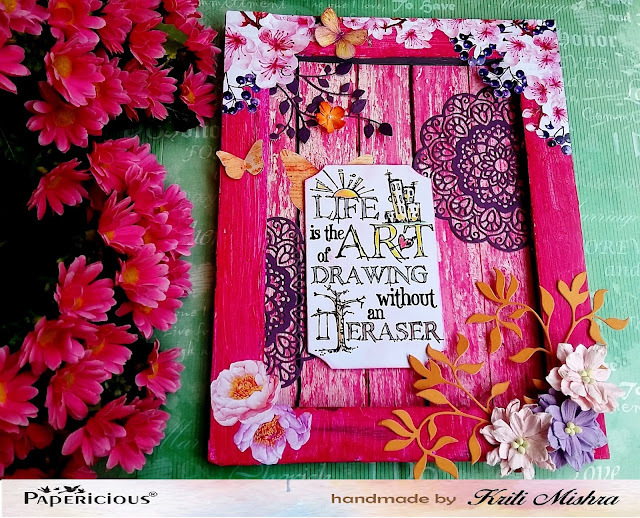 Previously, I used to make simple handmade cards, just to gift them to my loved ones and friends, but when I joined social media, there I saw a huge world of crafting. I draw my inspiration from the various crafty people around me. So many people involved in this, work in this area, so many techniques. 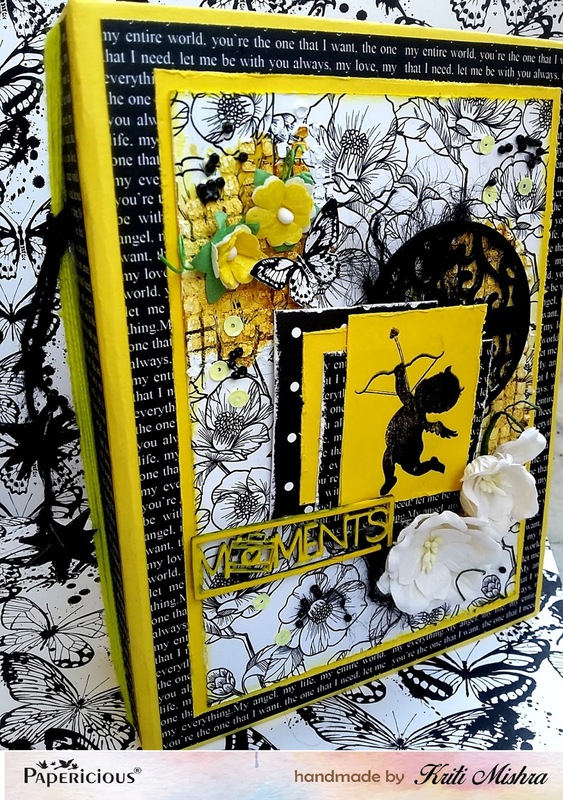 My most favourite is making scrapbook albums. I also love to alter old items. 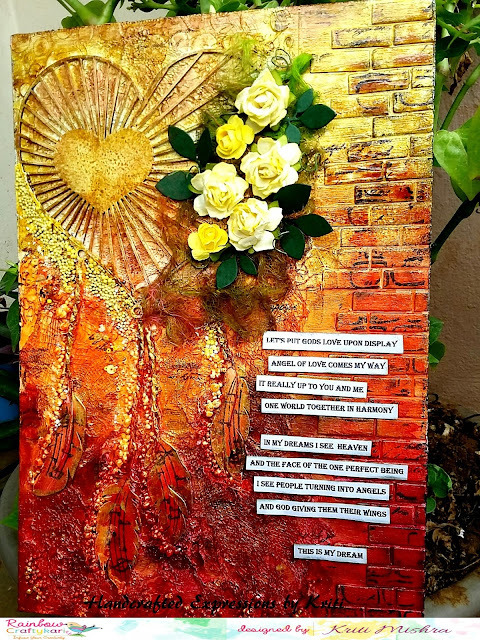 But now exploring mixed media too. 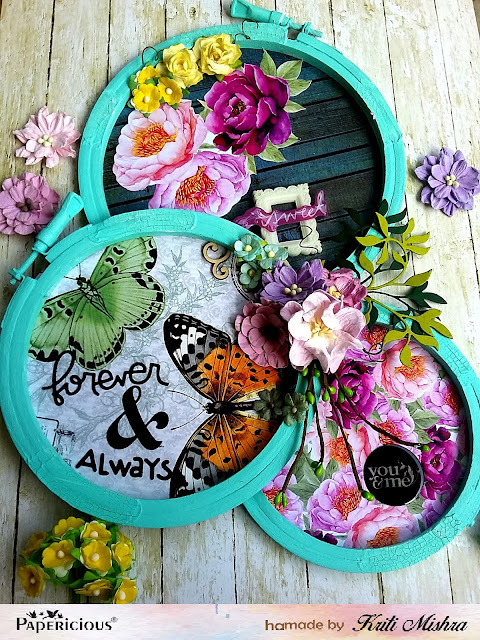 I always experiment, started with scrapbook albums…then moved to altering the items…now moved to mixed media….let’s see what next I’ll try my hand on(may be flower making)…lol. I am just in my learning phase and learning everyday, but wanted to explore myself. And I want to open a studio for me so that I can teach my skills to others so that few more people can live their dreams. We hope Kriti has been an inspiration to you all to keep crafting, follow your dreams be fearless to try new things….